A few years ago, from this website, Ten cuerpo 10, I have the privilege of interviewing several of the best bikini fitness athletes in the world. The interviews I do are emotional style and aim to show the person behind an athlete, to show the way they traveled to reach the top, how much they fought, the dedication and effort they used to achieve their goals . This has allowed me to know how they think, how they feel and how the great bikini fitness champions behave on stage and also outside of it. Bikini fitness is a category in which athletes do not require a great muscular development, but a healthy, athletic, proportionate aspect and a low fat index, but without excessive dryness. The facial beauty, makeup and hairstyle are also evaluated. All these physical characteristics must be shown, as well, with grace, elegance and security in yourself, because that will also be part of the final qualification of the judges. These physical limitations in terms of muscle development means that when the competitions are of a higher level, the differences are very small, because all the athletes have an excellent level in compliance with the rules of the category. For this reason, those other factors that I have spoken about, which are also much more subjective, such as beauty, elegance, charisma and self-confidence, have a greater importance to make a difference, sometimes even the physical presented. In recent years, the great bikini fitness champions generally belong to countries such as Russia and Ukraine, which have become the great dominators of this category and which set the trend on the behavior on stage, and on how an IFBB fitness bikini athlete should be, but what differences do they have with the rest of the competitors? This definition impacted me and I think that it is not possible to find a better one, really it is so, what I saw in her was that, she had something different and it was not the physical, she is a real “black swan”. Reading this definition, you can see right away that the way of living the bikini fitness in Russia is very different from other countries like Spain for example. There are very few bikini athletes that make the difference for their physique with respect to others, the victory is usually produced by nuances, details, and as this beautiful definition says, the great bikini champions are distinguished by having something special and different, something that everyone remembers them and that distinguishes them when you see them on stage. I often hear many girls complain that others with worse physiques are ahead of them, referring to how they saw them in backstage or in photos, but the medals are not earned in the backstage, but on the stage, and in bikini fitness the photos do not say everything. Since then I began to know the true magic of the bikini category, something that many never see or understand. That is in my opinion one of the reasons that many girls get frustrated very soon in Spain and think about changing category or even federation, thinking that they do not have enough level or that their physique is not valid. The results of the competitions in a category with so many subjective factors tend to be highly variable, as are the tastes and sensibilities of the people in a panel of judges. In addition, in each culture (and I would say in each person) the perception of factors such as beauty and elegance are different, so in an international competition where there are judges from many countries, there are results that are sometimes difficult to understand. To compete in this category you have to understand that, work to improve in all aspects and that the general impression that your causes on the stage is getting better. There will be judges who value your physique more, others will give more value to your staging, that works well. Your job is to be the best you can be in all aspects, so you will like a greater number of judges and your score will be better. Russian and Ukrainian do not win by chance, they know that a high percentage of the victory is decided by what they transmit on stage, their image and their staging and they work that part a lot. If in addition to presenting a great physique, you show it with a good image and a good staging you will have many chances to be in the best positions, but you must understand that in bikini fitness nothing will assure you victory. I often see girls with chances to do well, but when they go to international competitions they don’t manage to be fighting in the finals. They go home thinking that their physique does not like them or that they don’t have enough level, but the truth is that many times it is simply lack of charisma and control of the stage or the details. There are athletes who, for some reason, can not shine on stage and go unnoticed. I always say that it is like those singers who have a great voice, but they do not transmit anything, they do not get to like the public, and others without a great voice reach the hearts of the people. Bikini fitness is like that, it is a category of perception and you should shine and stand out on stage. If not, in a high level competition you run the risk of going unnoticed, but that does not mean you do not have a good level. You work a lot in the gym and take a strict diet to get perfect the day of the competition, it is a pity that in the few minutes that you are on stage, all that can be lost because you did not work on important details like your image and yours staging. Work a lot in front of the mirror, record videos of your essays, if you have already competed try to watch videos of your previous competitions (the photos don’t say everything) and observe how you see yourself among the rest of the competitors. Isolate comments of the type, “you were the best”, “it’s unfair”, “the judges have no idea”, “that girl was much worse than you” … whether they are true or not, they do not help you improve and will only serve to satisfy your ego. In bikini fitness there is something very common about what you have to try to abstract and that is that everyone is going to tell you that you were amazing, beautiful, the most beautiful of all, the best physique … The support is good, but if there was 5 girls ahead of you try, you should find what was most liked and why it was not you, think that there is always a reason and try to find it. Sometimes you have to spend time and gain experience so that you understand and I repeat, many times it is not the physical. Work hard to improve the overall impression, improve every detail, the way you walk, the position of the body, the movement of arms and hands in the transitions, fingers and palm of the hands stretched as the rules say (it seems a silly detail but the clenched fist or shrunken hand transmits tension and subtracts elegance). Be patient, sometimes it is difficult to get that perfect combination of bikini, hairstyle, tan color and makeup, some people get it soon and some people take longer. Any bikini athlete who sees a competition of his when he started will see a thousand errors, so be patient and improve every aspect. 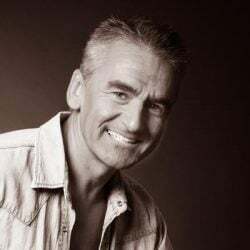 As you can see, I have not mentioned anything about training, diets or physicals because for that you will have great trainers, but all that physical and nutritional work often remains in nothing if you leave this other part aside. I would not like to finish without putting here some words that Anastasia Goncharova, IFBB international judge told me. For me she is the best teacher of bikini fitness posing at IFBB and heads one of the best bikini fitness academies in Russia. “I teach the girls to work on stage every second. Forever!! In the comparisons and in the I-walk. Every look, turn of the head, sweep of the eyelashes are important. The overall impression counts from the moment you put the first foot on the stage. 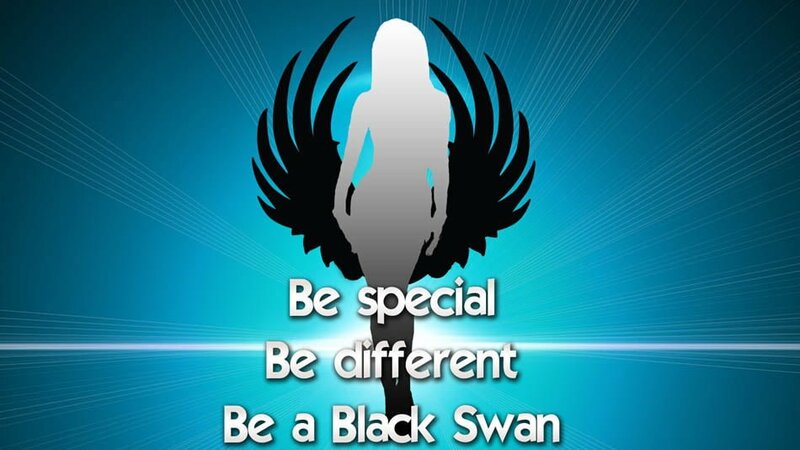 Of course, the physicist you present is a big part of your success, so you should not spoil all that work you’ve done thinking that is the only thing that counts.Remember … if you want to reach the highest level you must be a “black swan”, be special and different. I hope that this article has helped you to understand a little better the magic of the bikini fitness and that the beauty of that muscular work that you have done is multiplied when you show it with elegance and harmony.